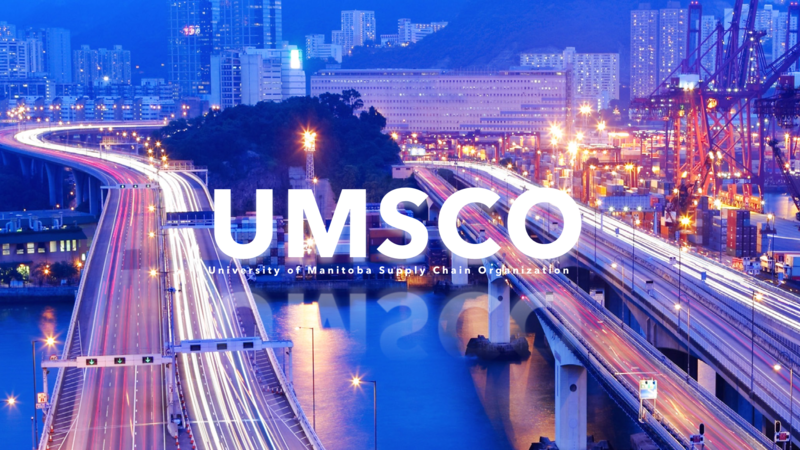 UMSCO brings in representatives from different companies to each meeting to speak to our members about the logistics and supply management at their companies. Students love to see the challenges and practices used in different industries. As well, this is a great place to learn information pertinent to the field and explore career opportunities. Food will be served at every meeting. Professor Adolf Ng: SCM 3220 A01: Students will receive 1 Bonus mark per meeting attended in the winter semester. Professor Adolf Ng: SCM 2210 A01: Students will receive 1 Bonus mark per meeting attended in the winter semester. Professor Changmin Jiang: SCM 3250 A01: Students will receive 0.5% Bonus mark per meeting attended in the winter semester towards their final grade. Professor Changmin Jiang: SCM 2230 A01 & A02: Students will receive 0.5% Bonus mark per meeting attended in the winter semester towards their final grade. Professor Imran Khan: SCM 2160 A01: Students must attend 2 UMSCO Member Meetings in the fall semester to receive 1 bonus mark on their final exam. Professor Richard Pound: SCM 3270 A01: Students must attend 2 UMSCO Member Meetings in the fall semester to receive 1 bonus mark on their final exam. Professor Sara Hajmohammad: SCM 2160 A03 & A04: Students must attend 2 UMSCO Member Meetings in the fall semester to receive 1 bonus mark on their final exam. Professor Adolf Ng: SCM 2230 A01 & A02: Students will receive 1 Bonus mark per meeting attended in the fall semester.